In the recent years, the amount of data being generated on a regular basis has reached magnanimous proportions. Hence, the name- Big Data. Many organizations generate data at a rate of terabytes per day. The steady influx of data and abundance of information automatically points to the need to handle them efficiently and since all such data have inherent value, simply discarding them isn’t an option. Handling data includes carrying out functions of storing, processing and analyzing. Therefore, there is a need for systems to be put in place which would be able to carry out these functions on “big data” efficiently. Take, for example, a library. For years, the librarian was used to making manual entries in huge ledgers- who is taking what book when, when the book is being returned, how much fine is being charged and so on, perhaps for 20 odd book-readers each day. Now imagine her having to carry out the same chores for 100 people a day and then subsequently for 200 people, single-handedly. Sounds almost impossible right? This is exactly how the surge in the data production and consumption affected most companies. Keeping in check the enormous amounts of data seemed impossible! 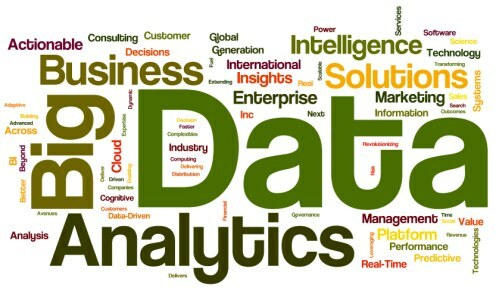 Big Data Analytics aims to address the needs of all organizations who are expected to handle “big data”. As the formal definition goes, Big Data refers to datasets whose size is beyond the ability of typical database software tools to capture, store, manage and analyze. Volume: Refers to the large quantity of data being generated. Velocity: Refers to the speed at which the data is being generated. Variety: Refers to various different types of data-unstructured, structured, media files, etc. Some also include a fourth characteristic of veracity which points to the uncertainty of data. 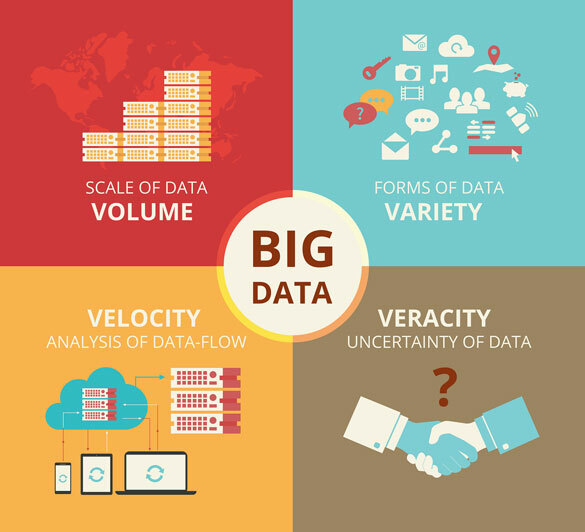 To be able to work with big data, one has to take into consideration all of these three (or four) characteristics. If your organization has systems in place to manage large amounts of data but is not prepared for its continuous, steady influx at a tremendously fast pace, it doesn’t fulfil your organization’s needs completely and hence, is not very useful. You’re just back to square one again. The major contributors of big data are social media and networks, scientific instruments, mobile devices and sensor technology and networks. Let us take one such use case and look into how big data features in the GRC management industry. Governance, Risk Management and Compliance, or GRC, is essential to every organization’s success. It takes into account the organizational activities being carried out, the potential risks and the standards and the various rules and regulations that an organization needs to keep in mind in order to facilitate efficient functioning. This means that any GRC management tool would have to be able to store, manage and analyze huge amounts of data, hence needing to implement big data analytics. A GRC management software such as VComply keeps track of whether the necessary compliances are being met by every employee in an organization, including the fulfilment of responsibilities that have been assigned to every individual. Take for example a multinational corporation. The data for each employee and for each compliance is fed into the system. Now the system needs to store this data, make sure it isn’t corrupted, segregate the useful information from the large pool of available data and make sense out of it all. Features such as “trend analysis” in VComply, involves the analysis of data and consequently coming to conclusions regarding the organization’s performance. The software also generates notifications and alerts. So for example, if a responsibility has been met, the system lets the user know so. This is made possible because the system is able to differentiate noise from important data and therefore make assumptions. Big data analytics helps the system achieve all this. Techniques such as classification and clustering are employed to find out interesting patterns in the available data. In classification, data is separated into labels or classified and is tackled in a supervised manner, whereas in clustering the input is to be divided into previously unspecified groups and is usually unsupervised in nature. To learn more about big data in GRC, click here. Evidently, big data is now a part of every organization-major or minor. 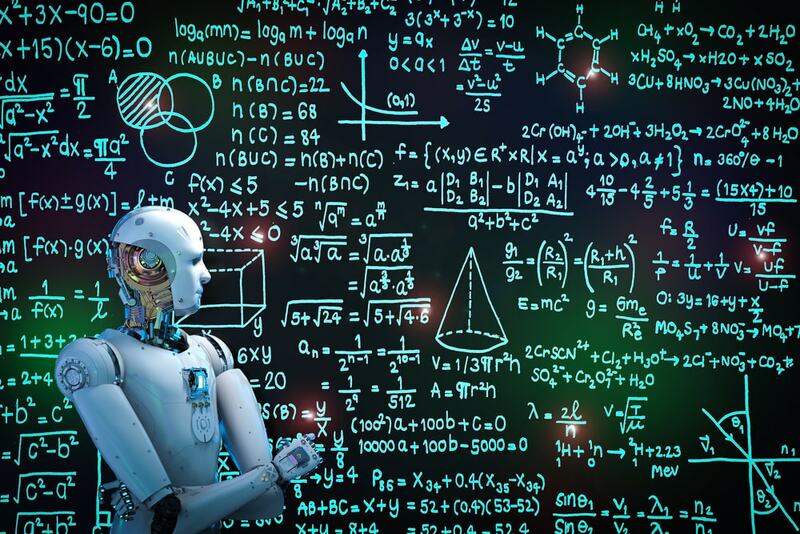 There is, therefore, a constant need to improve the existing big data practices and at the same time, coming up with newer, more efficient algorithms. This results in an increased demand for data scientists, which is becoming a rapidly sought-after job opportunity. Who knows, maybe you could soon be the next big name in the data science industry because big data is here to stay.